"As a kid I wanted to play the violin and trained classically from an early age. 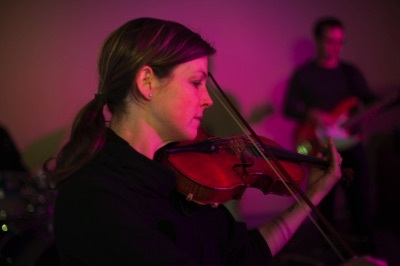 A few years into lessons I began playing some fiddle music with the Calgary Fiddlers while also playing with a youth chamber orchestra, both of which introduced me to the joys of playing as part of a larger group of musicians. 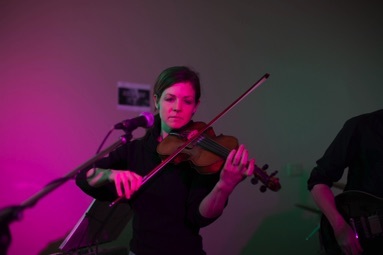 After some perhaps too intensive years of academic and competitive music, I quit playing completely in my mid-teens and did not pick up a fiddle again until my mid-twenties. When I did pick it up again, I wanted only to play for my own enjoyment and traveled many places around the world carrying my violin with me, busking and jamming with musicians I met on the road and through my university years. 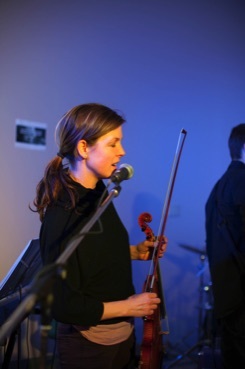 After settling back in Alberta and becoming a mother or two, I started teaching violin in the Banff/Canmore area as well as playing as an occasional soloist for weddings and recording with local singer/songwriters. I continue to teach in the bow valley and enjoy it immensely. Playing as a part of the Street Legal band is a truly enjoyable experience and I love the dynamic of playing with a group of people with such varied and interesting musical backgrounds."